The 2019 Natural Areas Conference will take place October 8-10, at the Pittsburgh Sheraton in Pittsburgh PA. The first Natural Areas Conference took place in October 1974—four years before the Natural Areas Association was founded—and was an informal gathering of just 26 people. Leaders of that group convened the first conference because they felt the need for a place for natural areas professionals to come together, support each other and exchange important information. More than 40 years later, the Natural Areas Conference has evolved into the premier gathering for natural areas professionals, but the mission is still the same—to share the latest advances in stewardship and connect as a community. Timely theme. Focus on an area of inquiry (such as responding to climate change, or successful collaborations) of crucial and timely importance to the profession. Latest research. Speakers share their cutting-edge discoveries with attendees through presentations, symposia, panel discussions, posters and workshops. Actionable information. Presenters offer strategies and tactics that they’ve used successfully in the field. Inspiring plenary sessions. We invite leaders in our field to stimulate debate and encourage big-picture inquiry. Hands-on workshops. Workshops can be half- or whole-day and focus on practical strategies and tactics. Informative field trips. Learn first-hand about natural area issues in the region where the conference takes place, and explore the unique geography and biodiversity with local experts. Networking events. 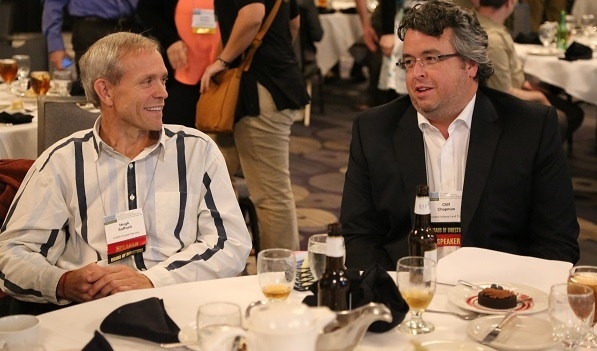 The Awards dinner, the Membership Luncheon, the Poster Session and Reception, and the Student-Mentor networking lunch all offer participants the opportunity to form and strengthen relationships. Robust student and young professional programming. Aside from the Student-Mentor Networking lunch and Poster Session, students can also attend the Keys to Conservation Careers session and take advantage of scholarships, prizes, and a special registration rate. Participation in an engaging and supportive community. Members agree that what distinguishes our conference—and our organization—is the feeling of camaraderie, and the often lifelong friends attendees come away with. Great location. The conference is located in a different place each year, and rotated to allow members in different parts of the country to showcase the outstanding natural areas in their region. Great value. We know natural areas professionals—especially those just entering the field—don’t have unlimited budgets. We work to make our event as cost-efficient and affordable as possible, while providing all of the programming, content and events we always have. Hugh Safford and Cliff Chapman, Natural Areas Conference 2015.. Awards Dinner Awards Ceremony - winners of the Students' Paper and Poster Competition, as well as the Carl N. Becker Award winner, Joyce Bender and the George B. Fell Award winner, William Weeks. Preview of the 2019 Natural Areas Conference, in Pittsburgh, PA and Prairie Fire Auction! We host former Director of the National Park Service, Jonathan Jarvis, and Dr. Gary E. Machlis, as our Closing Plenary Speakers. Former Director Jarvis and Dr. Machlis are the co-authors of The Future of Conservation in America: A Chart for Rough Water.